Let me introduce myself. I am Kim. I love baking . I love to bake Cakes, Cupcakes, Gingerbread, Cookies (or biscuits as we Aussies call them) and so much more. Now with Kim’s Kitchen Magic I get to bring some of my love of baking to you. You can leave all the work up to me. 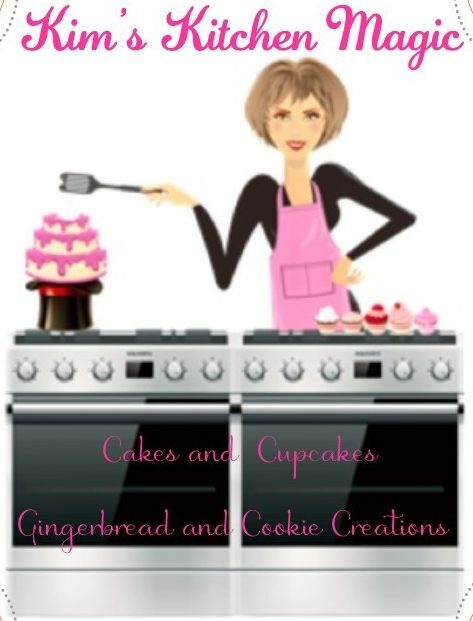 I can design, bake and decorate for you or if you would like to have some more input you can specify what flavour of cake, flavour or taste of your icing etc that you would like personally. So, your inspiration can lead to my creation or I can be given free reign to create a unique design for you. Everything is designed and created in my council registered, insured kitchen using the best quality ingredients. I also have a food handling certificate so all care is taken from choosing the ingredients through to the finished product. This ensures a pleasurable and safe eating experience. Welcome to Kim’s Kitchen Magic!